Est DOC Mar 2019. 4 bdrm, 2.5 bath w/3-car garage in desirable Kettle Creek North. 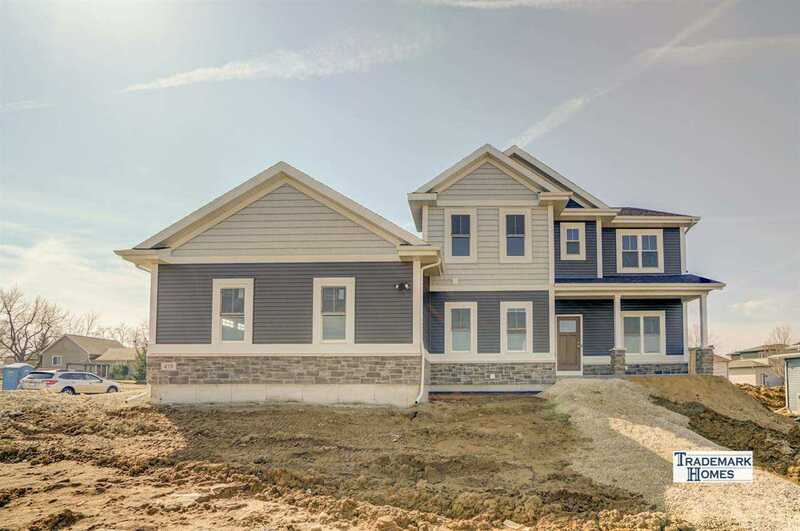 Open concept eat-in kit, w/Quartz island, SS appl, gas range, walk-in pantry & HW floors, gas FP w/decorative surround, spindle staircase & flex rm. Mudrm incl cubbies & closet adjacent to the laundry & powder rm. 2nd flr MB w/tray ceiling, dual walk-in closet, ensuite w/double vanity, walk-in dbl head tile shower, sep commode & linen closet. 3 add'l bedrms & 2nd bath w/dbl vanity. Exp LL future bath, bedroom & Rec Rm. Near Epic, Hwy M & 18/151. Walk to Country View Elem! Smart Features: Nest thermostat, Nest doorbell & MyQ Garage. Directions:Hwy M (Main Street) to east on Cross Country to right on Hemlock Dr to end of the road. SchoolsClick map icons below to view information for schools near 419 Shandy St Verona, WI 53593. Home for sale at 419 Shandy St Verona, WI 53593. Description: The property at 419 Shandy St Verona, WI 53593 with the MLS# 1843855 is currently listed for $500,000 and has been on the Verona market for 188 days. You are viewing the South Central Wisconsin MLS listing details of the home for sale at 419 Shandy St Verona, WI 53593, which features 4 bedrooms and 3 bathrooms, and has approximately 2410 sq.ft. of living area.